Hi Everyone, this is my first post for at A2Z Scrapbooking! I am so proud to be on this fabulous team! There is also a CAS challenge at A2Z Scrapbooking this month and I thought I stick with that – after all that is what I like to do the most . I hope you will get a chance to join our monthly challenge. Remember – Hero Arts Products are required. This challenge runs though the end of the month. You have a chance to win a $25 gift card to the a2z Scrapbooking Store. If you are in need of any items from the a2z Scrapbooking store you can use code Cornelia15 at checkout to receive 15% off your purchase of $25 or more (before tax and shipping). And don’t forget that we are on Twitter, Instagram and Facebook. Follow us on these different social media outlets so you won’t miss out on any fun promotions! 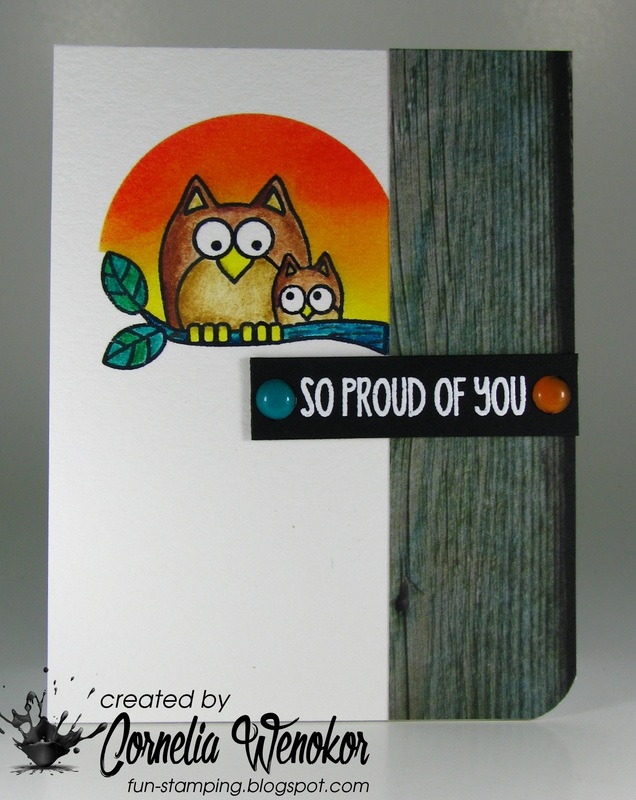 Categories: Clean and Simple | Tags: clean and simple, Cornelia, ink blending, owl | Permalink. Hi there! 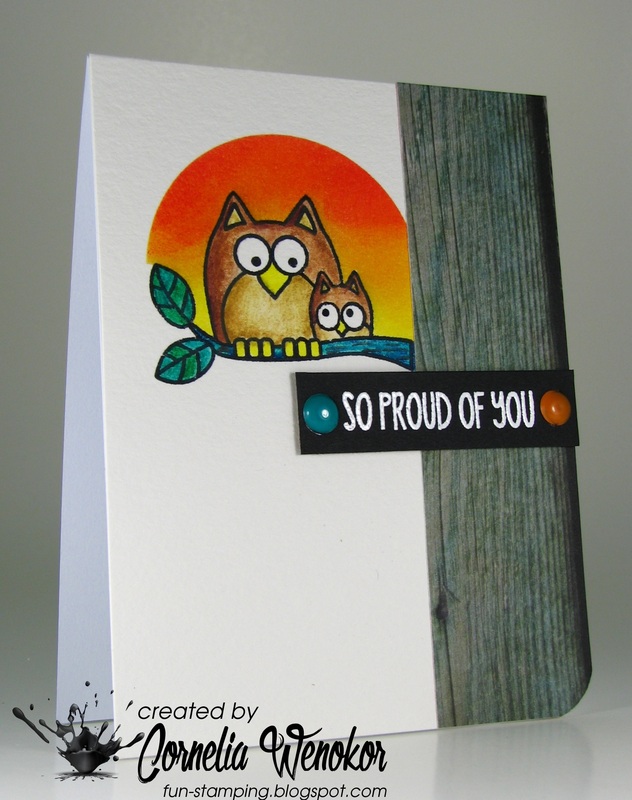 It’s Kathy here again stopping in to show you this quirky card I made for the monthly challenge. The challenge is to use two Hero Arts products. This Curious Owl is one of my favorite stamps. I love owl stamps! And you already know how much I love pumpkins for Fall cards. 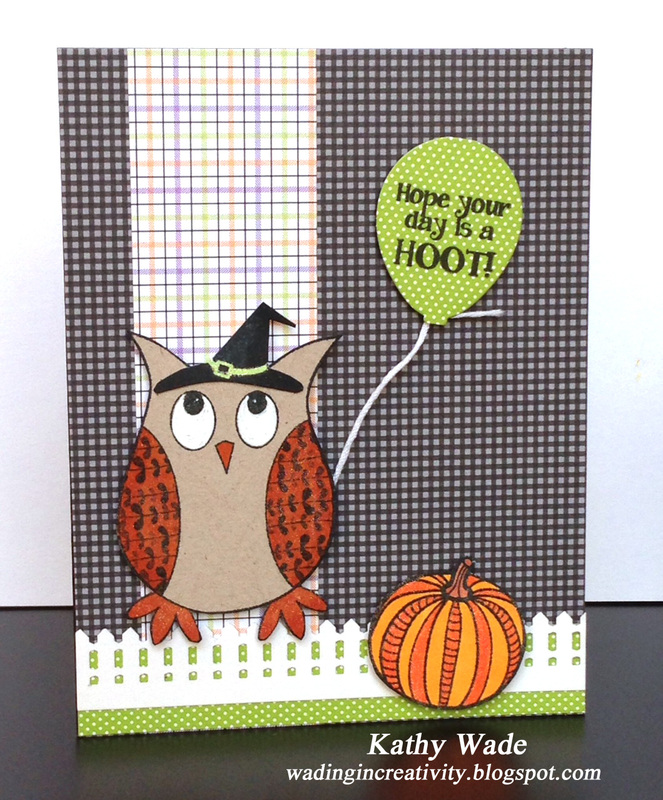 I wanted to use a lot of patterned paper with Halloween colors for this card. I think I accomplished my goal! 🙂 I also wanted to make it a fun card so I cut out the witch’s hat from another Hero Arts set and added to the Hero Arts Curious Owl stamp. I love how his eyes are looking up at the witch’s hat. After I stamped, colored and cut out the owl, I adhered the witch’s hat to him. I then used a border punch to cut out the fence, a die to cut the balloon and I also cut several different pieces of patterned paper. I also stamped, colored and cut out the pumpkin. This Hero Arts Thankful for You set is a must have! I used Copic markers to color the orange on the owl and the pumpkin. I then stamped the greeting on the balloon. Once I had all my pieces, I assembled the card. I also add some white twine to the balloon and colored the owl’s eyes with a white gel pen. I hope you’ll play along with the challenge. You can find more information about it by clicking on the link in the right side bar. And don’t forget, if you’d like to order anything from the store, use the coupon code Kathy15 to receive a 15% off discount. And for other good news, there is a Design Team call out now too. We would like to invite you and your friends to apply. If you are interested, click HERE for more details. We hope you will apply. 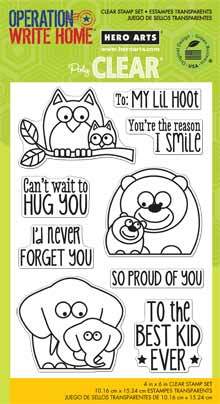 Thanks for stopping by and I hope your day is a hoot! Categories: Challenges, Halloween | Tags: fall, Halloween, Kathy, owl, pumpkins | Permalink.